In this book I seriously consider the arguments for God that were made in a collection of essays edited by Michael Licona and William Dembski, entitled Evidence for God: 50 Arguments for Faith from the Bible, History, Philosophy, and Science. with each section containing a number of essays. I have mirrored that structure in this book. In each chapter I summarize the argument made in Evidence for God, quoting frequently to try to ensure that I am not responding to a straw man of the argument. I have included sufficient detail so that it is not necessary to have read Evidence for God. I have also not shied away from being boring. Many of the arguments presented in Evidence for God do not even attempt to provide actual evidence, either defending a contradiction or presenting a theological discussion. In most of these cases, I will note that no evidence is presented but still engage with the discussion as given. Even if a particular chapter’s argument does not interest you, you may find my response contains a different view that is interesting. If it does not feel free to skim or skip, as each chapter is self-contained, and I reference other chapters where necessary. Even with 50 arguments, several major reasons for belief remain uncovered. For example a personal experience of God, or the existence of the church. I discuss these and an overview of the argument from nature in the fifth section. 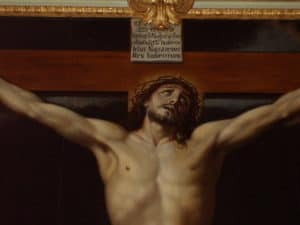 A personal experience, in particular, is the reason most Christians I have spoken with choose to believe, even in the face of other evidence, which is why I wanted to be sure that this topic was covered. Evidence Considered: A Response to Evidence For God is available in Paperback, Kindle, and Audiobook. Comprehensive and easy to read. Comprehensive survey rebutting many apologist ideas. When you read Evidence Considered you will find that Glenton Jelbert is no militant atheist in the guise of Christopher Hitchens, rather he is a thoughtful and fair-minded critic of apologists of God. He holds that the book Evidence For God is really for the most part evidence of God. The difference being that evidence of God originates with believers whereas evidence for God is requested by disbelievers. Well-written with well-thought out arguments. Have you ever had questions about aspects of the Christian faith that just do not seem to make sense? Glenton Jelbert delves into a number of these issues in this book, which is a well-thought out and structured response to a collection of essays claiming to offer evidence for the existence of the Christian god. If your interest is in well-reasoned and researched arguments you will find “Evidence Considered” an enormously satisfying read. The most committed faith and the firmest beliefs are the ones that are able to stand up to rational skepticism and critical response; as a corollary, refusing to test one’s ideas is a tacit admission that they likely wouldn’t stand up under scrutiny in which case those beliefs are being held out of preference rather than on the basis of reason. Jelbert decided to look at each argument of [Evidence For God] in turn, and—through critical analysis, logical reasoning, and debunking bad information—write a superb counter to the inane, and sometimes laughable, arguments put forward by this super-team of Christian apologists. Jelbert is very fair in his presentation of each author’s argument, often quoting them extensively to make certain not to misrepresent or strawman their arguments. He follows each argument with his response, thoroughly dismantling the cobbled together fallacies, factual errors, and irrelevancies without being needlessly confrontational or snide. “Evidence Considered” is organized as a chapter-by-chapter response to “Evidence for God” and as such would make an excellent companion piece in any serious consideration of these arguments, whether it be in a formal class or your casual book club. This is a Bible designed for Kindle that takes advantage of the ability of ebooks to use hyperlinks. It allows the reader to link to other relevant and related passages in an unobtrusive way. The Cross-Referenced Bible is available here. Unlike many study Bibles, it does not provide commentary and theology. It does not tell you how to think about a particular passage or what the author’s “orthodox” view of it might be or what a verse really means. 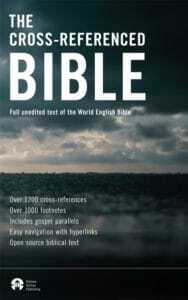 It provides historical information in footnotes and cross-references to other parts of the Bible. For example, the gospel parallels can easily be reached for a reader wanting to see what the other gospels wrote about a particular story. The references work in both directions in general, which has several advantages. See my blog post on the advantages of this. One of the chapters in Evidence for God was on the subject of the resurrection. That chapter referred to a book by Gary Habermas and Michael Licona called The Case for the Resurrection of Jesus. This was the central notion on which my Christianity hung. It took me a long time to seriously consider the question: “What do atheists make of the evidence for the resurrection?” But when I did seriously engage with that question, I abandoned my faith within a few months. The topic remains fascinating to me, and the truth is not so fragile that it cannot be examined more closely, so in this book I engage with The Case for the Resurrection of Jesus in a great deal of detail. Previews of this book can be read here. The delays are due to a long excursion into other books and the question of epistemology. I have begun to notice how commonly Christian apologists will try to undermine our ability to know anything as an argument for accepting something unlikely.